An interview with John Paul Stevens conducted August 29 and November 7, 2012 by Mary Marshall Clark and Myron A. Farber for the Columbia Center for Oral History, Rule of Law Oral History Project. When John Paul Stevens retired from the U.S. Supreme Court on June 29, 2010, he became the third-longest-serving Justice in the history of the Court, having served on the bench since December 19, 1975. Justice Stevens wrote notable dissents for two monumental Court rulings in recent history: Bush v. Gore and Citizens United v. Federal Election Commission. 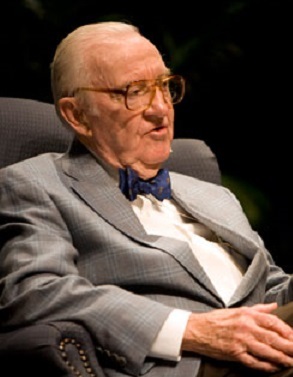 Highlights of this interview include discussions of Justice Stevens’ speech at the University of Arkansas concerning Citizens United, his positions on capital punishment and affirmative action, the Taking Clause in the Fifth Amendment, the use of television in the court room, the use of advertising in the 2012 Presidential election, the shutting down of Guantánamo Bay, and Supreme Court cases concerning Guantánamo Bay detainees.